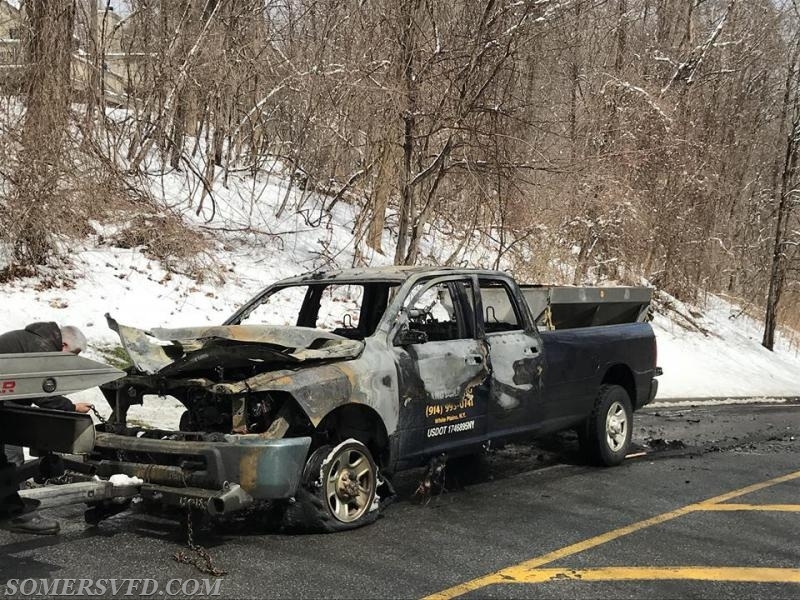 *Motor Vehicle Fire* At 11:33am Somers VFD was dispatched to Heritage Hills in the area of the Pinnacle restaurant for a reported truck fire. 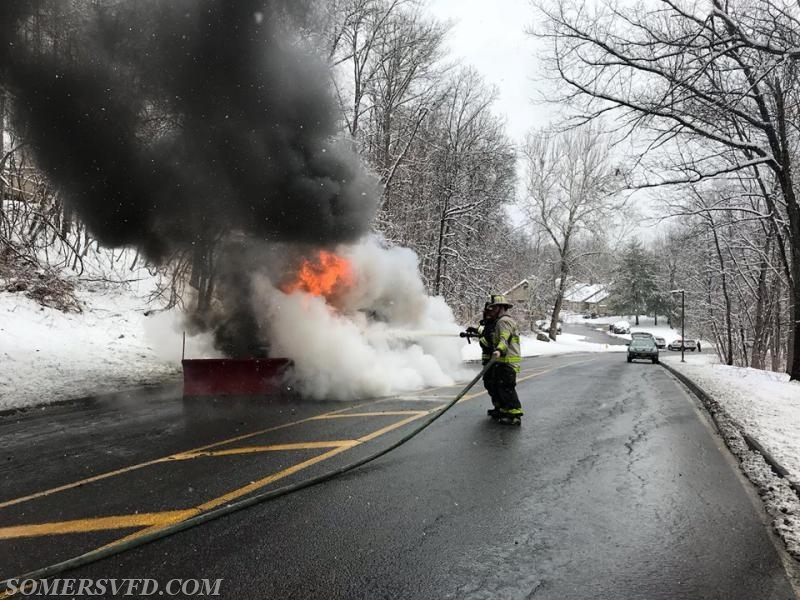 Car 2443 arrived 4 minutes later reporting a fully involved plow truck. The truck was carrying an onboard diesel tank which complicated the operation. Upon the arrival of engine 185 1 handline was stretched and the fire was extinguished before extension to the diesel tank. 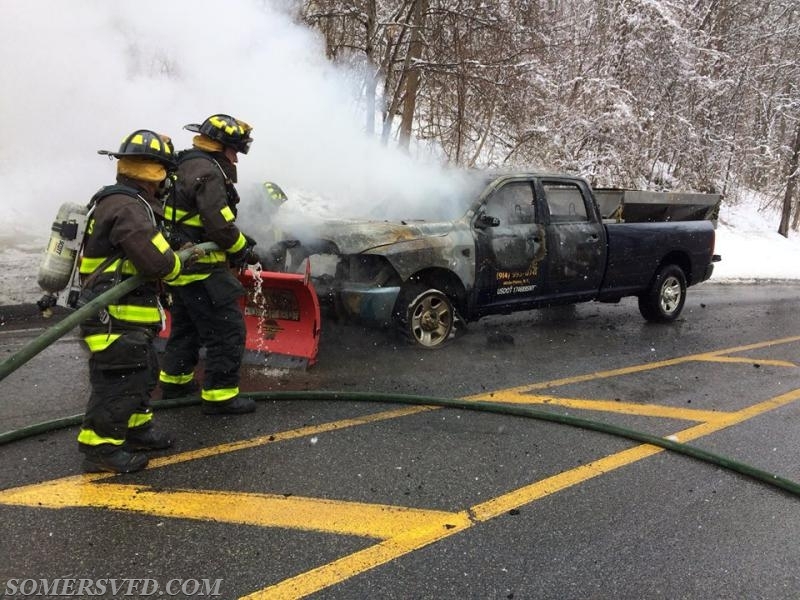 Somers units awaited a tow truck and all units were clear at 1pm.